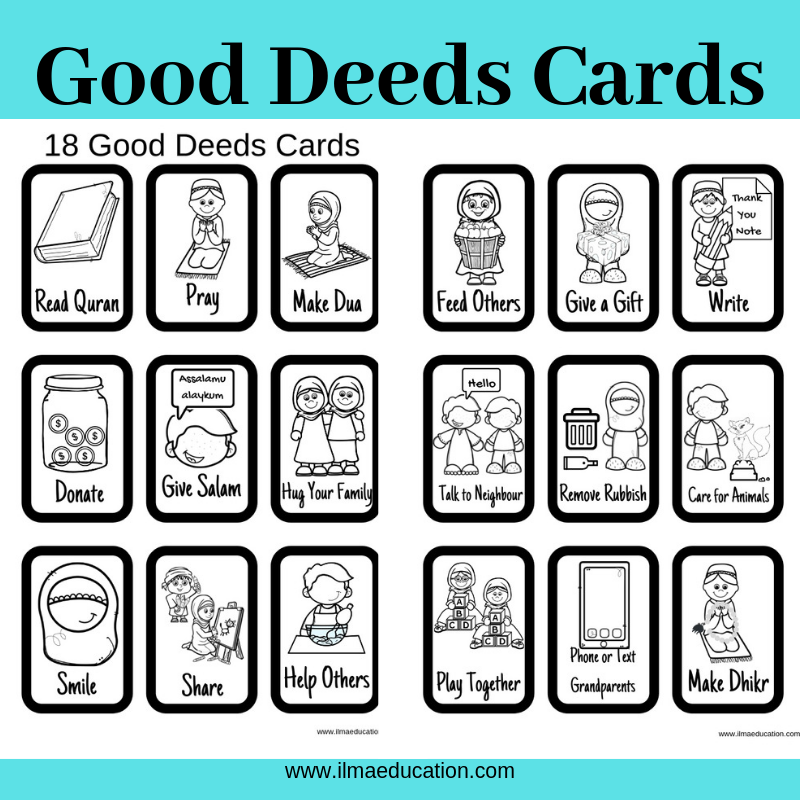 To help you help your children get into the habit of doing good deeds, I've made these good deeds cards. 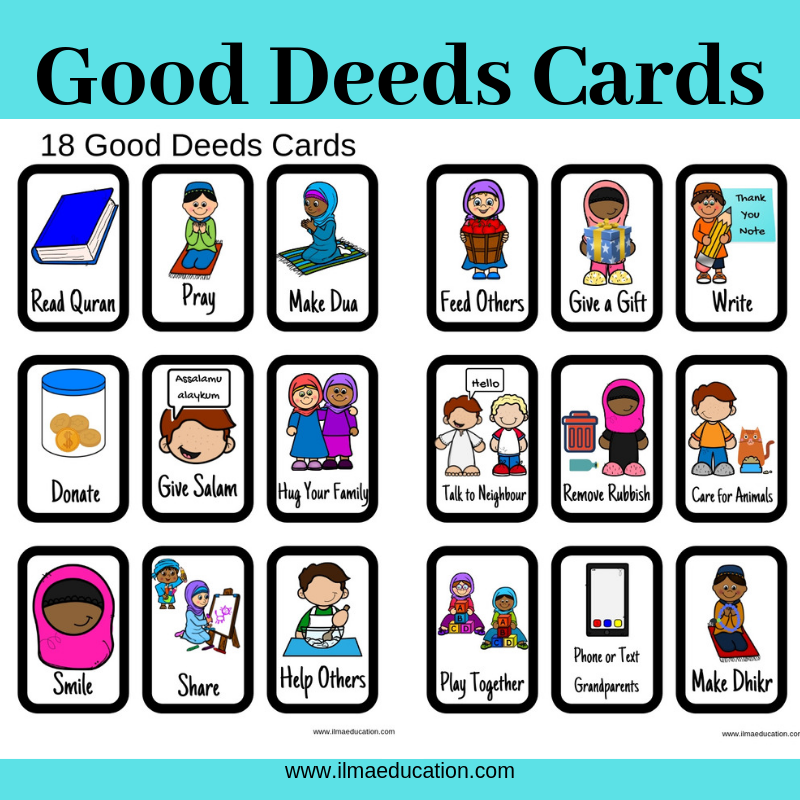 There are 18 good deeds to do. Print them onto card stock, laminate if you wish and cut them out. 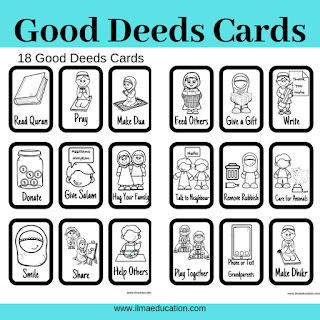 Each day, have your child draw a card from the deck and do the good deed as much as they can. The next day, draw from the deck again and so on. Also included is the black and white version for colouring in. Use this if you don't want to print in colour but rather your child colour it in. Buy the complete set of cards here. 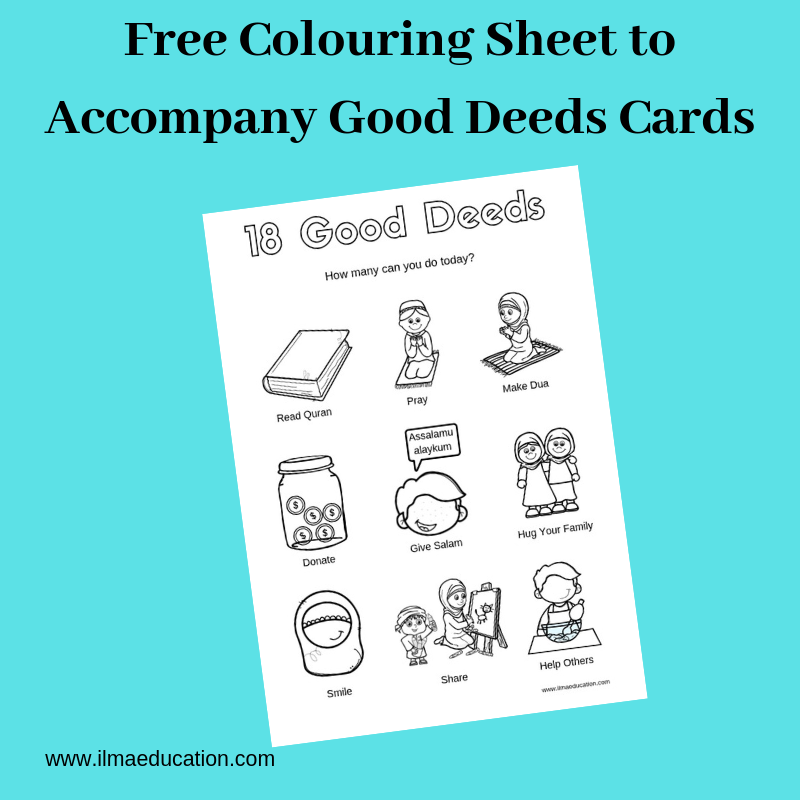 To start discussing doing good deeds with your children, use these two colouring sheets. 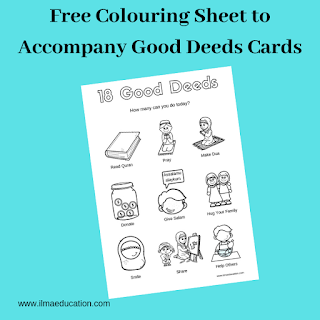 As your child colour in each deed, you can talk about it. 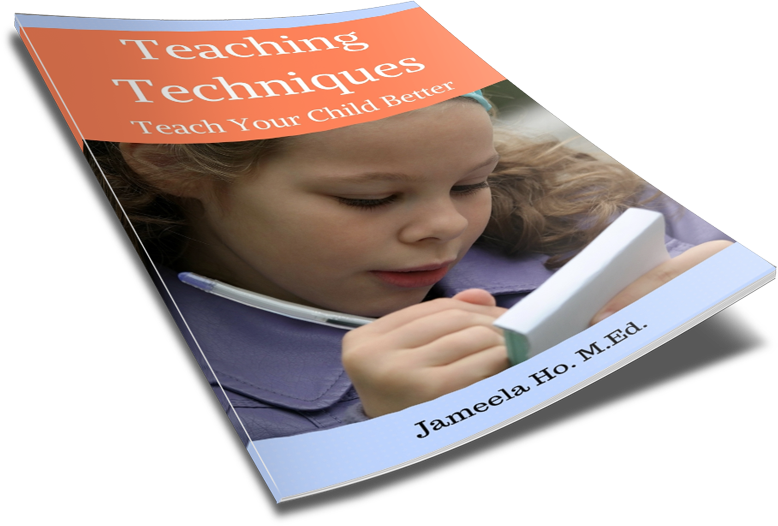 Or you can use it as a chart and let your child colour in the deed that they're doing for the day. 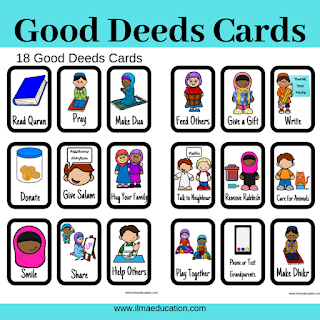 Hang it up so they can see the different good deeds that they're doing.